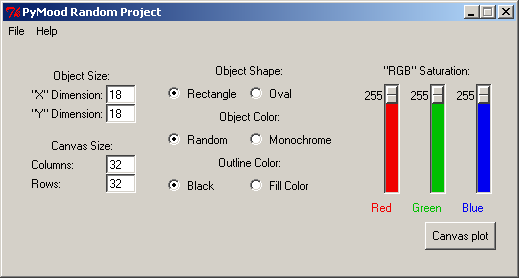 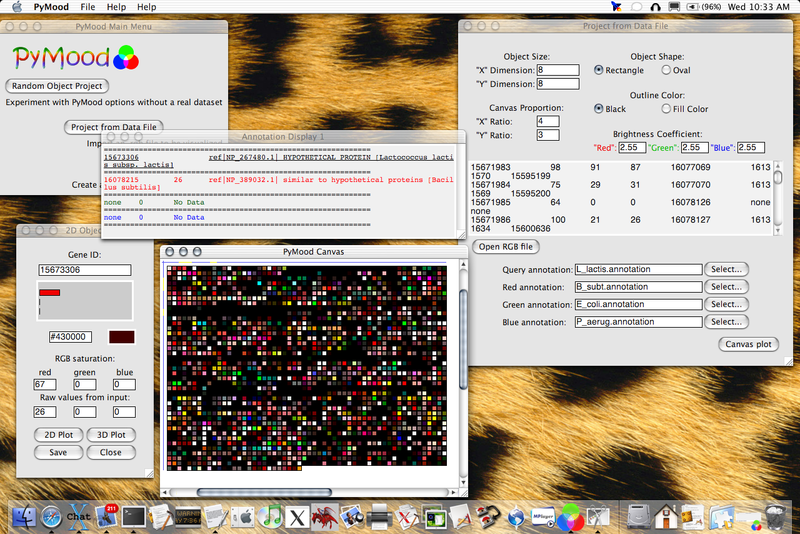 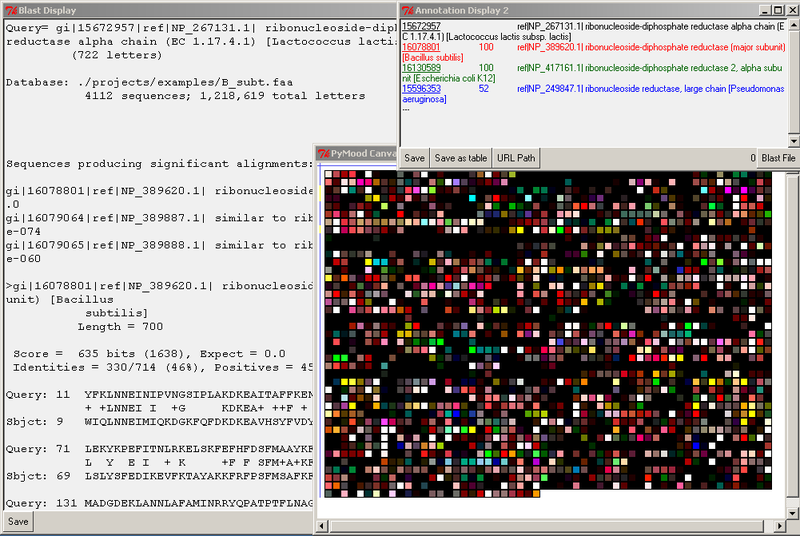 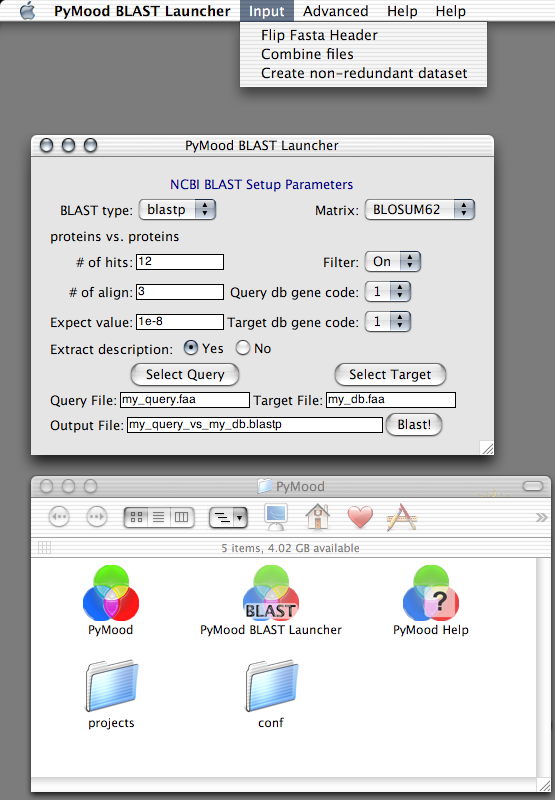 The main PyMood canvas, the Annotation dialog and BLAST output. 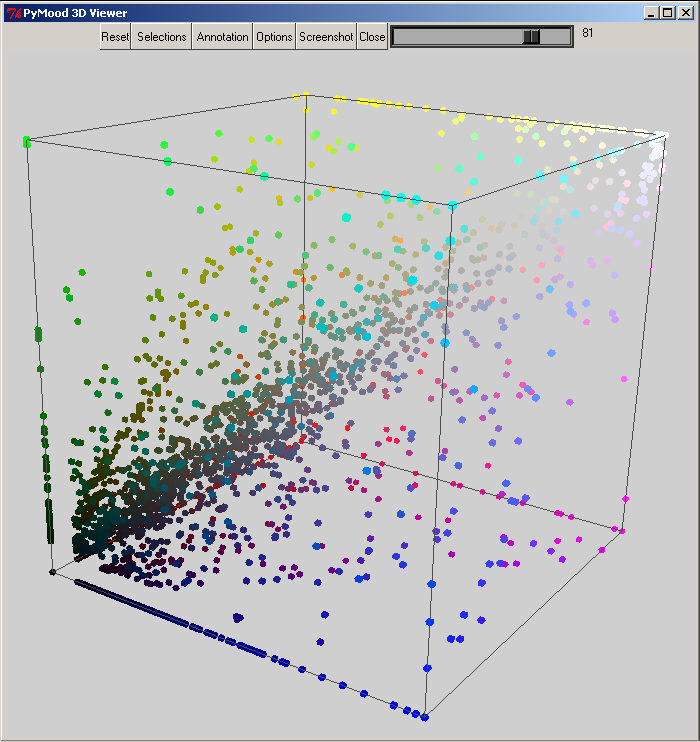 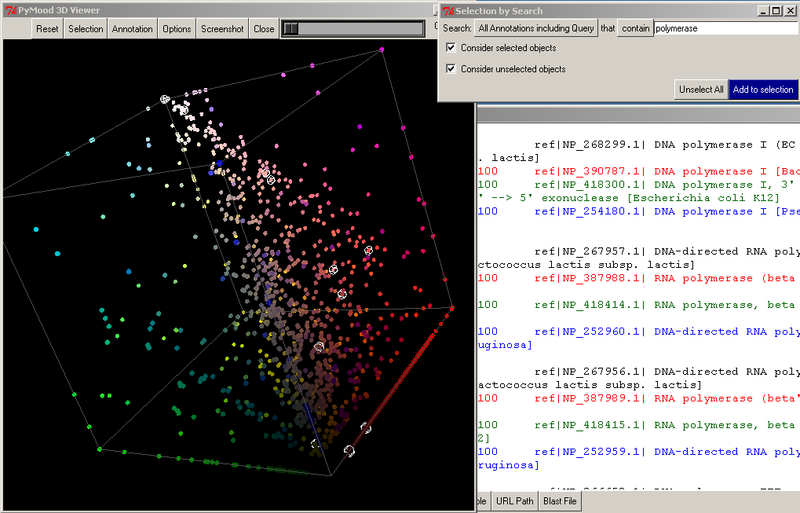 The pseudo-3D cube sort, which allows moving and selecting objects easily. 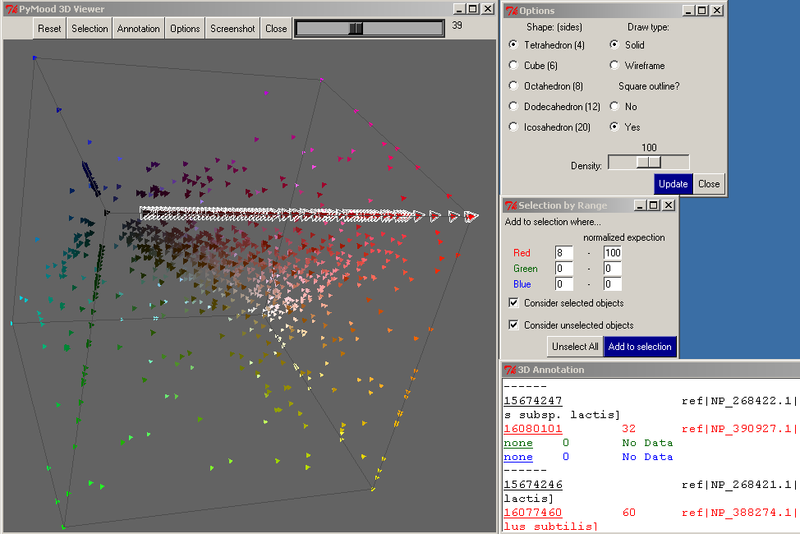 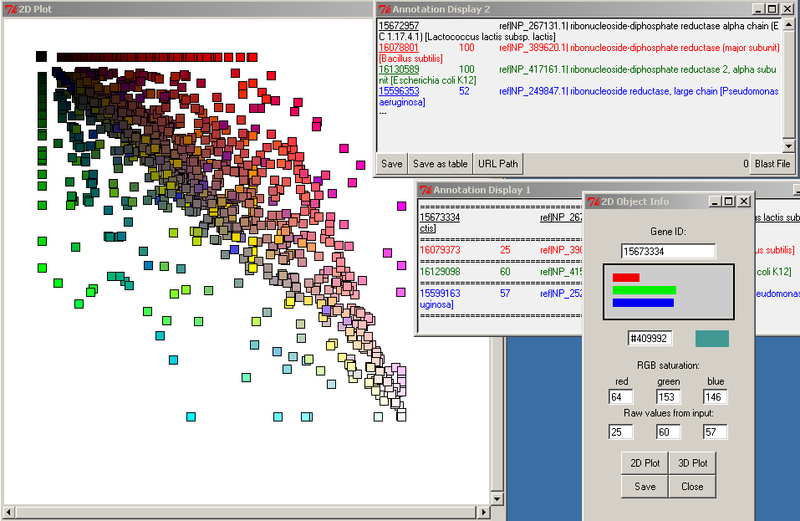 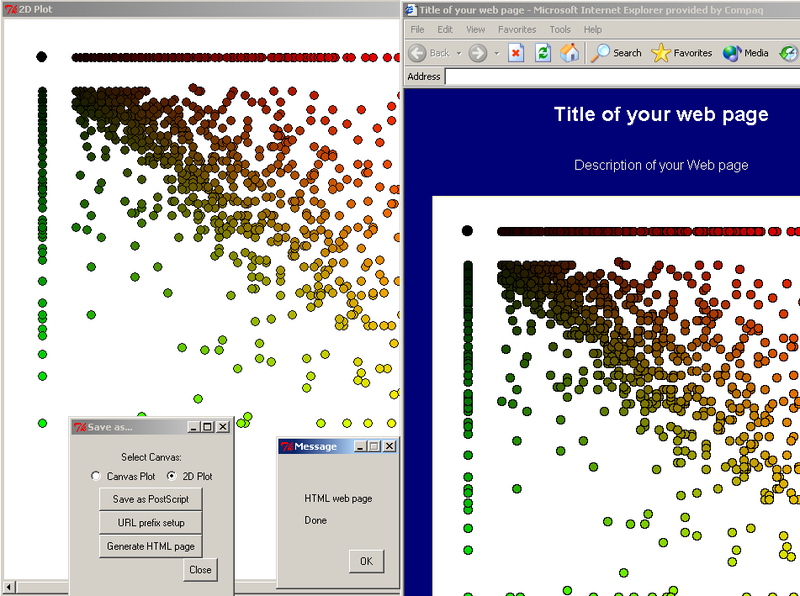 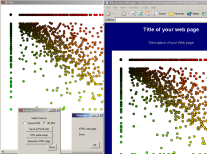 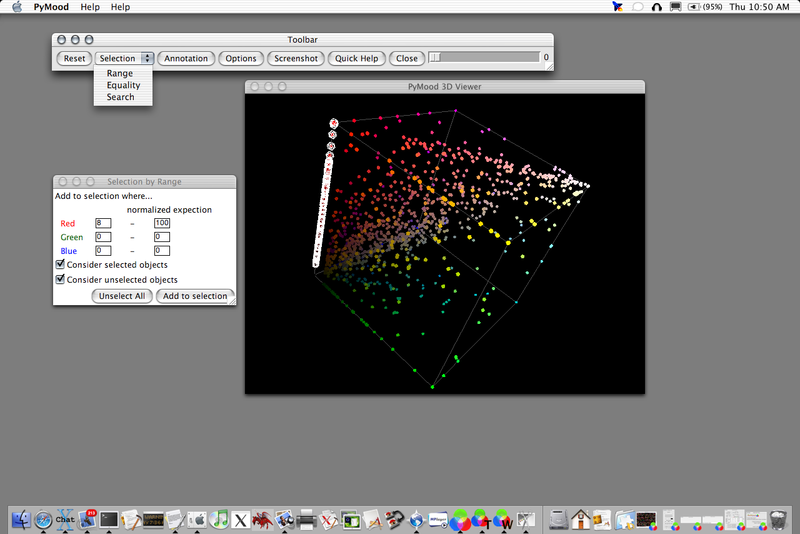 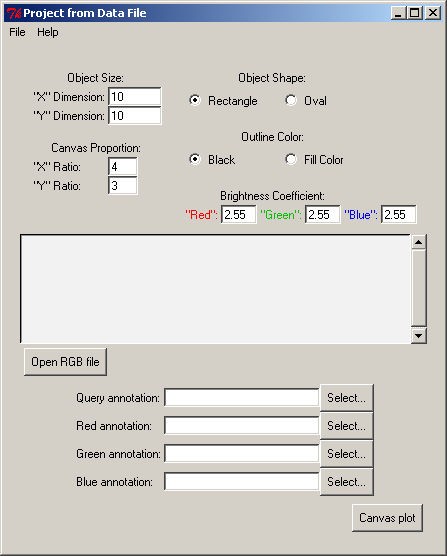 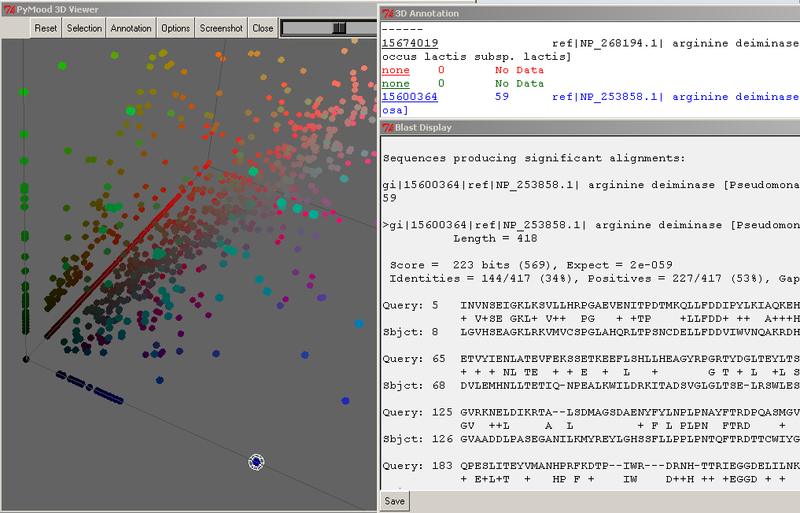 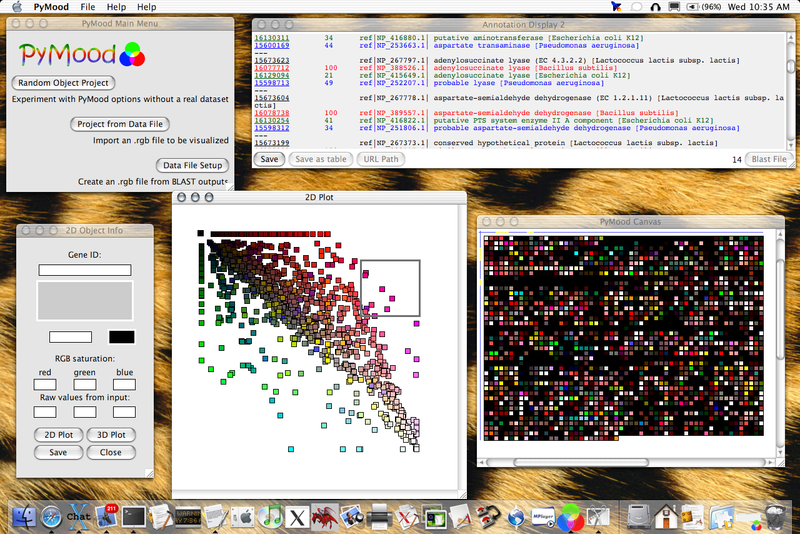 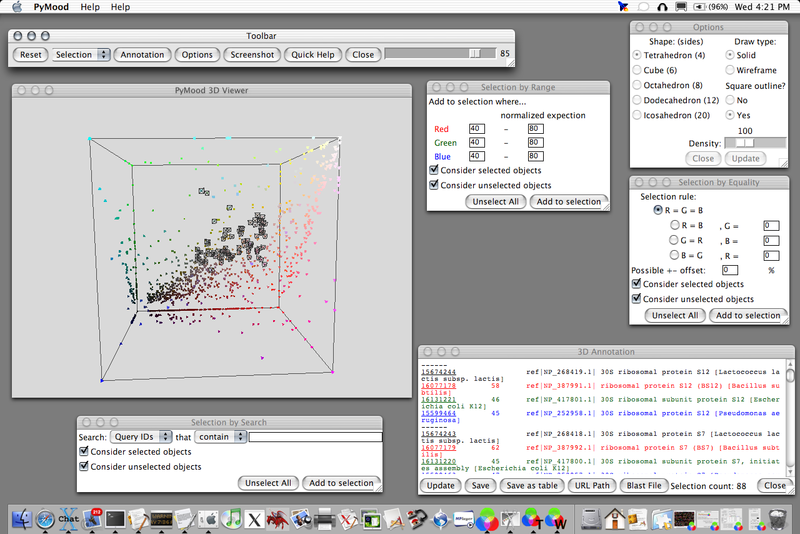 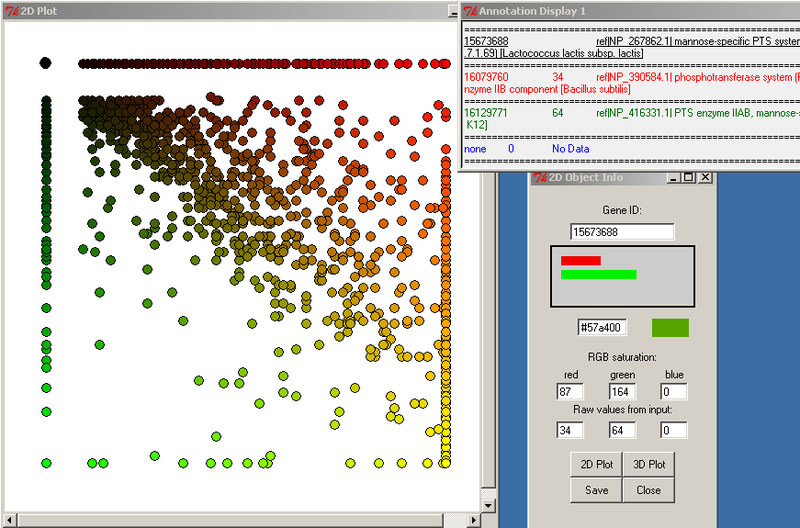 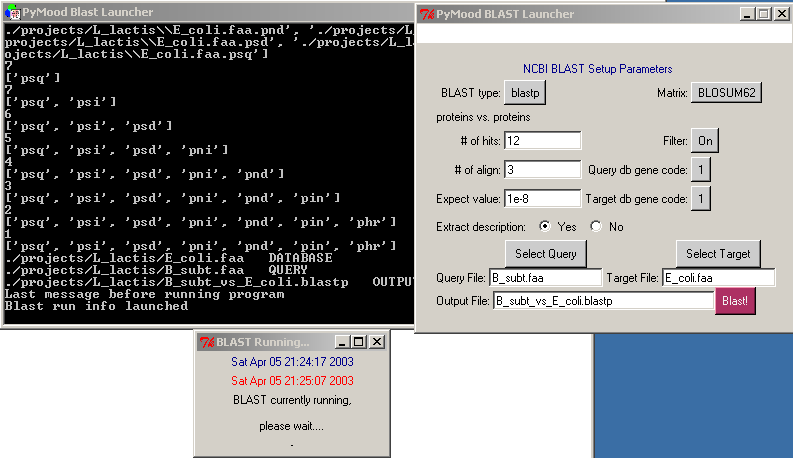 Object selection, viewing the annotation and BLAST display. 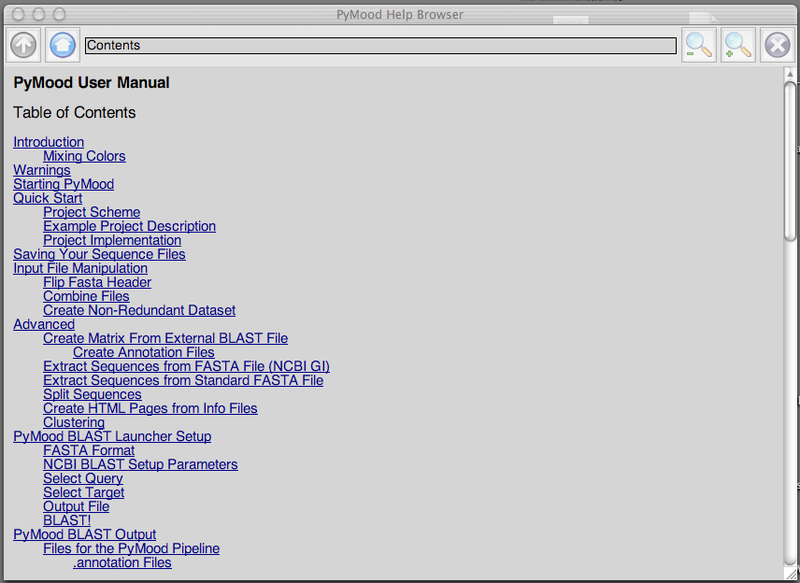 The webpage output of the previous screenshot. 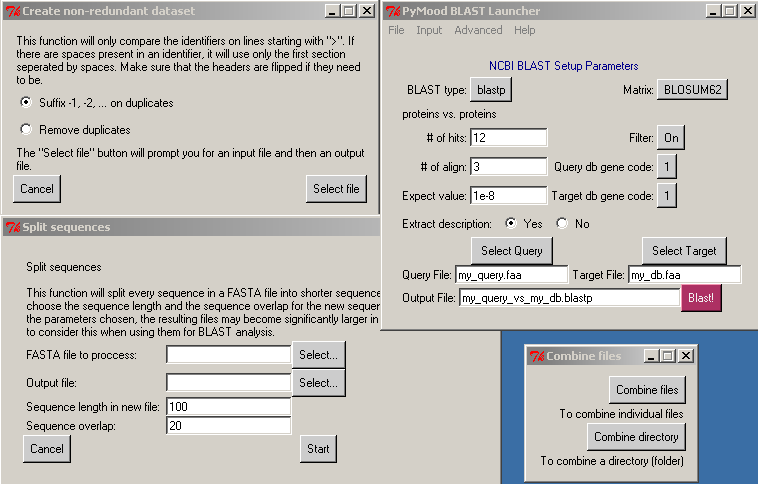 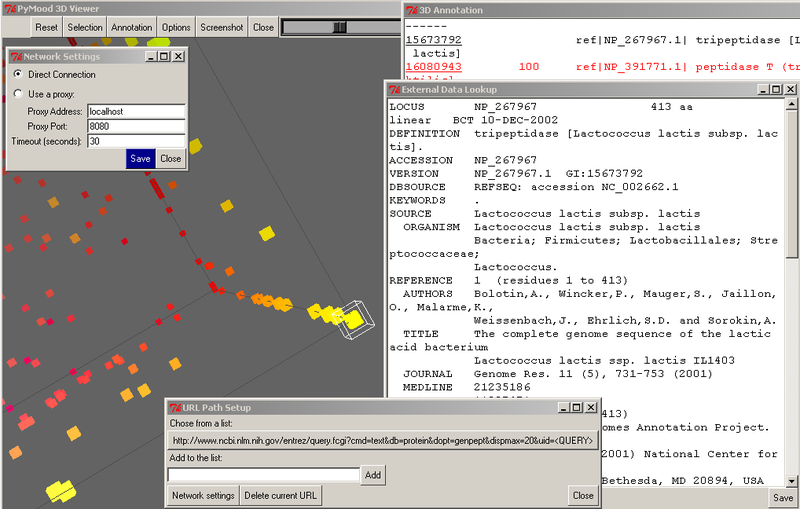 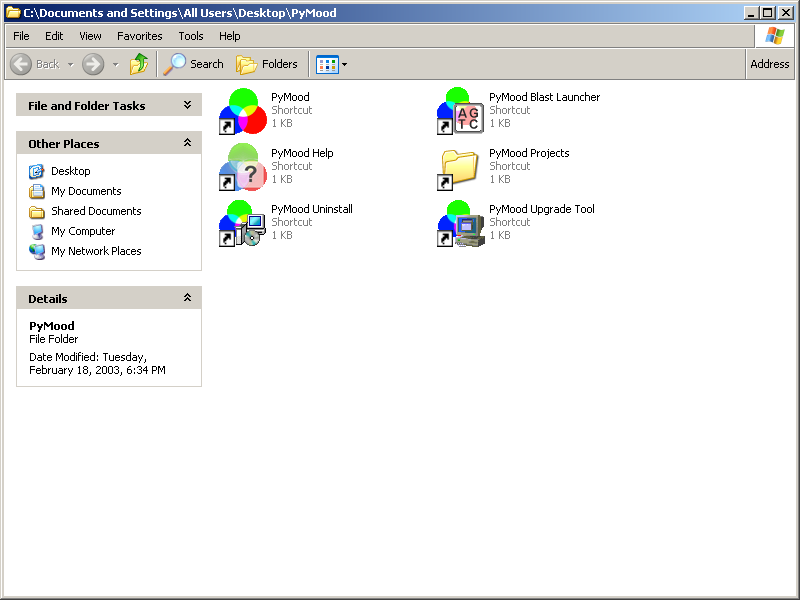 The graphical BLAST launcher which generates input files for PyMood. 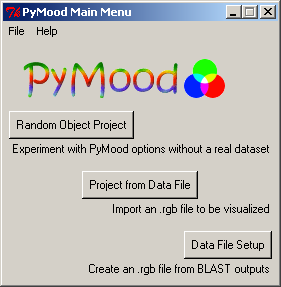 PyMood 3D Viewer with the cube outline on.